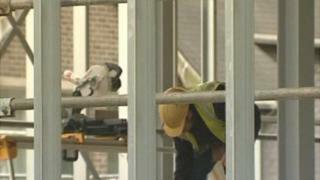 The Welsh government's biggest ever school building programme is being scaled back on what was originally planned. BBC Wales understands the majority of councils have halved what they expect to spend each year after being asked to resubmit their original proposals. Councils are due to be told exactly how much funding they will receive after cutbacks and delays. Ministers said it was set against a background of "severe financial cuts". Local authorities had originally drawn up proposals costing more than £4bn under the 21st Century Schools programme. But they were asked to go back to the drawing board because less money was available. The Welsh government also warned councils they would have to pay 50% rather than 30% towards the cost of transforming their school buildings. This means work will start later and be spread over six years rather than three. Chris Llewellyn, of the Welsh Local Government Association said it was a "very challenging" time. "In some instances they (authorities) will have to look at refurbishment rather than new build," he said. "They will also have to look at more effective use of ICT (information and communication technologies). "The capital we would all like to see isn't going to be available so we have to make the best use of the funding that is there." BBC Wales revealed in December 2010 that a shortfall of hundreds of millions of pounds was expected on what was originally planned. Education minister Leighton Andrews told the NASUWT conference in Swansea on Sunday that the Welsh government was operating against a background of "very severe financial cuts", which included a 40% reduction in cash terms in the capital budget for three years. "That's not going to stop us investing in school buildings...but it does indicate the kind of restraints under which we operate," he said. BBC Wales has obtained figures from 20 of Wales' 22 local authorities which showed that they originally intended to build schools worth £1.361bn between now and 2015. Over 15 years, the authorities planned to spend £4.434bn. Most of the councils said they had based their figures on the local authority's cost being 30%, with the Welsh government funding the remaining 70%. But a few months ago they were told to increase contributions to 50% and to resubmit proposals accordingly. A Welsh government spokesperson said the minister would be making a statement later and would not be commenting ahead of it. "We would, however, like to clarify that the Welsh government's budget is being cut by the UK government to the tune of £1.95bn in real terms by 2014/15." The spokesman said the capital budget in 2014-15 - used to invest in new schools - would be 45% lower in real terms than in 2009-10 "even after the capital consequentials we received in the Chancellor's Autumn Statement on Tuesday".